65" Aluminum UTV/ATV/Golf Cart Loading Ramps are great for loading UTV, ATV, and Golf Carts into sport utility trailers for transport! 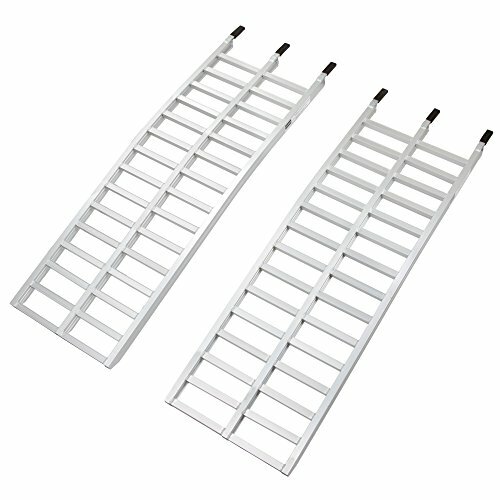 Package includes (2) 65"L x 20.25"W runner ramps with a maximum 3,000 lb. capacity (1,500 lbs. per runner), and (2) adjustable safety straps to prevent ramp kick-outs during loading. Arched for maximum clearance, made with heavy duty all-aluminum construction.